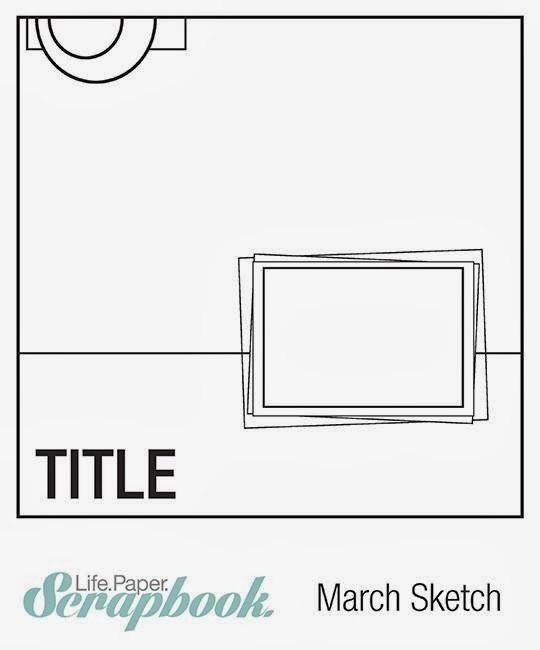 It's time for a new sketch at Life.Paper.Scrapbook. and this month's sketch is sponsored by Scrapbook Circle. 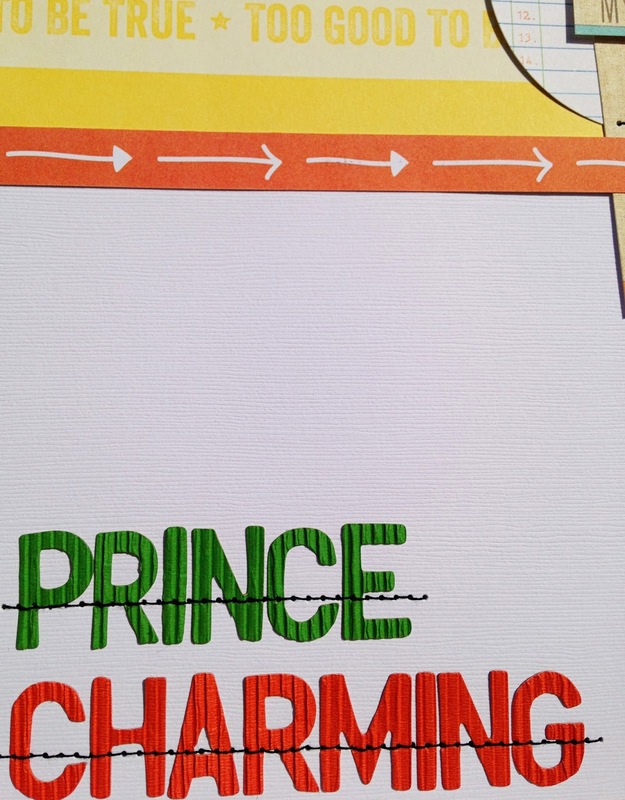 When I saw this picture for the first time, the title 'Prince Charming' was what immediately came up in my mind. I used the Elle's Studio Cameron collection and the title is made with Amy Tangerine's corrugated Thickers. 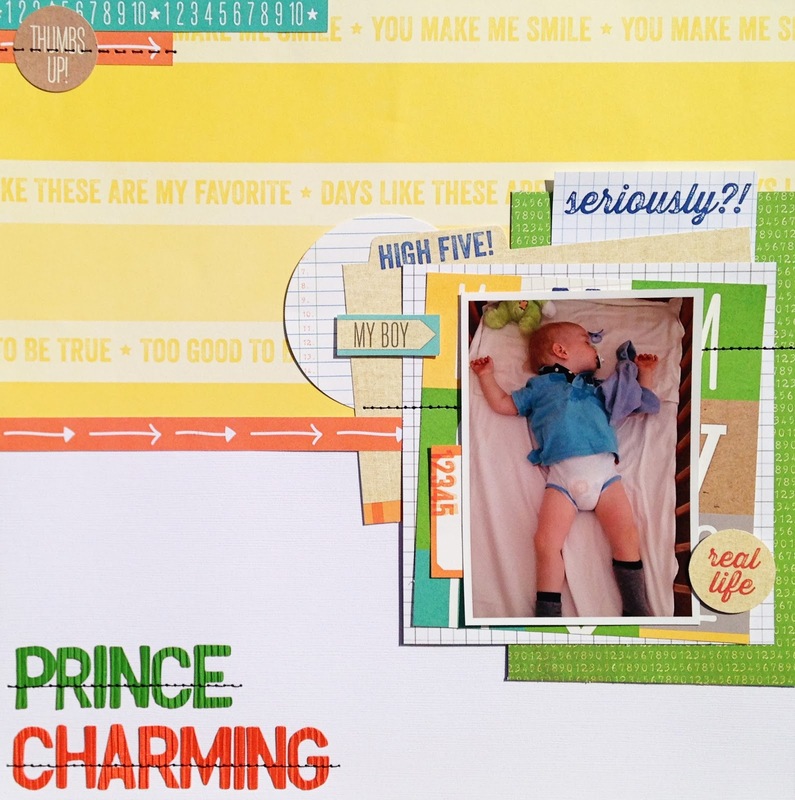 Scrapbook Circle is a monthly kit club owned and runned by Lisa Andrews. The kits are filled with the newest papers and embellishments that can be found and each month they have add ons that match the kits perfectly. They have a rockin' Design Team that shows you awesome examples to inspire you to work with the kits! I hope you feel inspired by our sketch too. Link up your project overhere at Life.Paper.Scrapbook. 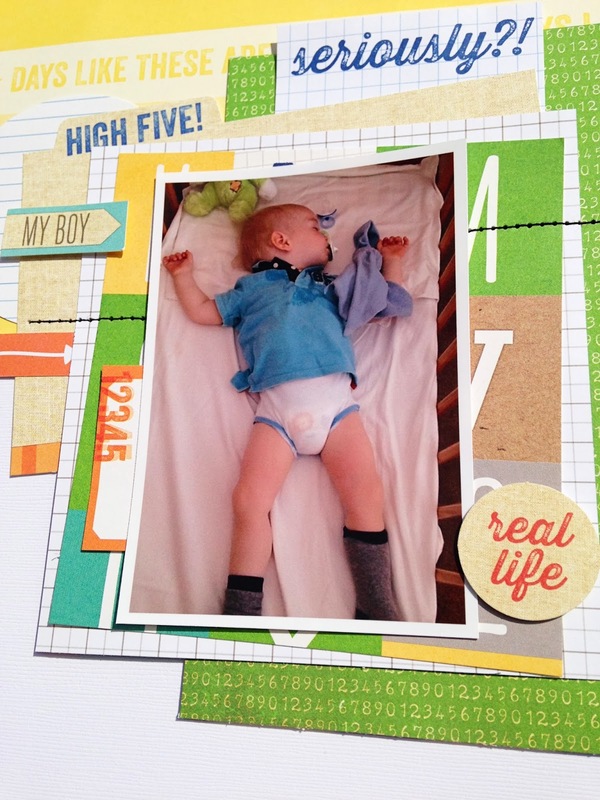 for your chance to win a kit offered by Scrapbook Circle! This is gorgeous!!! I love love love love the colors and the layers!!!!!! Amazing layering on here, Danielle! Love the bits of stitching! I love your layout, and that pic is so sweet!! So sweet, what a cute title and picture. Aww so sweet. Great layers and colors.